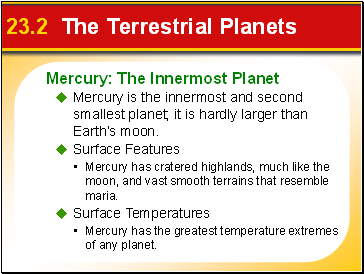  The terrestrial planets are planets that are small and rocky—Mercury, Venus, Earth, and Mars. 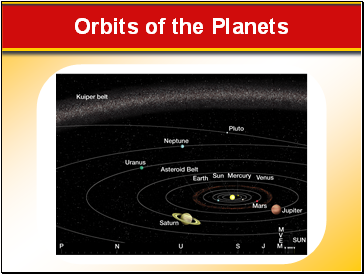  The Jovian planets are the huge gas giants—Jupiter, Saturn, Uranus, and Neptune. 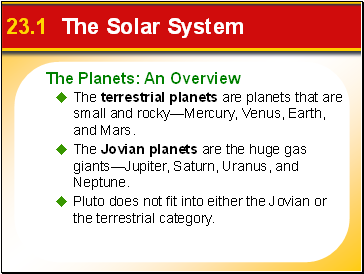  Pluto does not fit into either the Jovian or the terrestrial category. 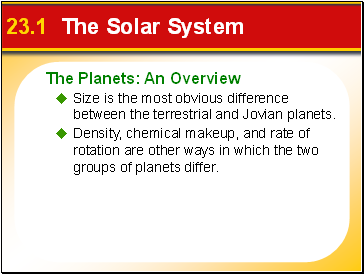  Size is the most obvious difference between the terrestrial and Jovian planets. 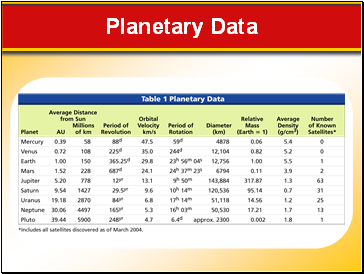  Density, chemical makeup, and rate of rotation are other ways in which the two groups of planets differ. 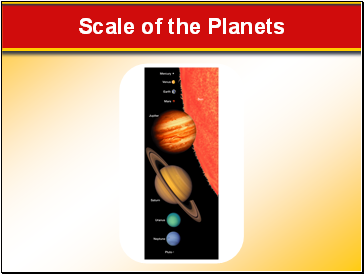 • The substances that make up the planets are divided into three groups: gases, rocks, and ices. 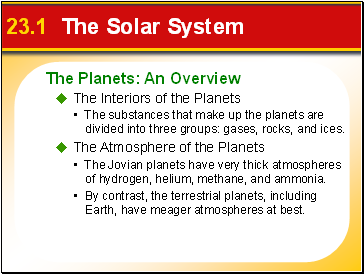 • The Jovian planets have very thick atmospheres of hydrogen, helium, methane, and ammonia. • By contrast, the terrestrial planets, including Earth, have meager atmospheres at best. 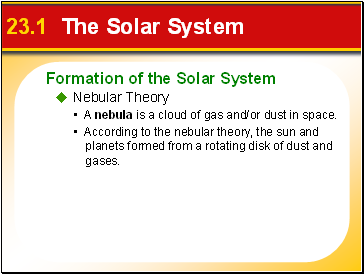 • A nebula is a cloud of gas and/or dust in space. 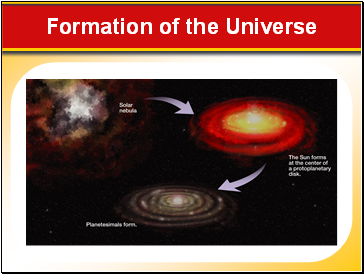 • According to the nebular theory, the sun and planets formed from a rotating disk of dust and gases. 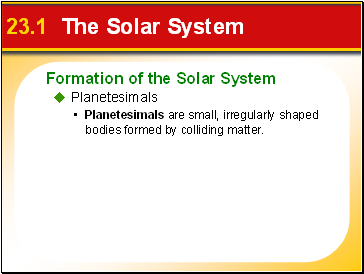 • Planetesimals are small, irregularly shaped bodies formed by colliding matter. 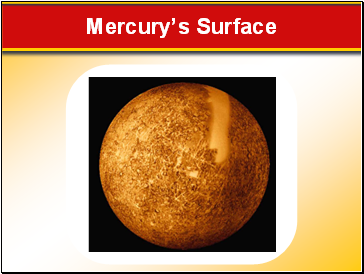  Mercury is the innermost and second smallest planet; it is hardly larger than Earth’s moon. • Mercury has cratered highlands, much like the moon, and vast smooth terrains that resemble maria. 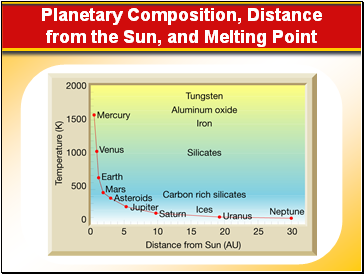 • Mercury has the greatest temperature extremes of any planet.